Antivirus kernel based on certified antivirus engine. File System Shield — Real-time protection against viruses and other malware threats. Scans files as they run on your computer to keep viruses from being able to execute. Mail Shield — Scans messages and attachments in E-mail/Microsoft Outlook/Exchange for viruses. Web Shield — HTTP protection (local transparent proxy). Version 4.8 also allows the blocking of URLs. Scans URLs and incoming data for viruses, and aborts connections to the site if one is found. P2P Shield — Scans P2P files from file share programs. Network Shield — Basic protection against well-known network worms. Acts as an Intrusion Detection System. Anti-rootkit capabilities (Powered by GMER). Self-Protection — Prevents malware from terminating avast! processes and damaging avast! files. Automatic incremental updates — Updates of both the program and the virus database which is used to identify potential threats — Avast! updates its virus definitions on a regular basis (sometimes multiple updates daily) and this process is automated by default. Boot-time scan — Users can schedule a boot-time scan to remove infections that load during Windows startup. Virus Chest — Quarantine; folder where infected files can be stored. The virus chest also stores vital system files to protect them from damage by malware. Users can also add their own files to the virus chest. Once in the chest, a file cannot be executed; double-clicking the file will instead display information about the file. SafeZone — SafeZone is a special web browser in avast! Pro Antivirus 6.x and avast! Internet Security 6.x based on Chromium web browser. It allows users to browse the web in a private, secure environment, invisible to the rest of the users’ system. WebRep browser plugin — WebRep is a community-based website reputation ratings tool implemented in version 6.0 of Avast! Antivirus. Avast! antivirus monitor— Avast! antivirus monitor is a sidebar gadget for Windows 7 and Windows Vista. It comes with Avast! Antivirus 6 and 7. 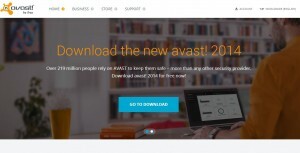 AVAST cloud — Avast! 7 introduces streaming updates from the cloud in addition to daily virus database updates. Throughout the day, AVAST streams updates to users, giving them faster warnings about new malware. This supplements regular virus updates, keeping users informed and protected regardless of their internet connection. FileRep – The FileRep feature enables faster threat identification by sorting new, potentially dangerous files from known safe files. Sourced from the CommunityIQ sensor network, the data helps avast! decide when questionable files should be placed in the AutoSandbox. Remote Assistance — An avast! user can connect to the computer of a second avast! user, allowing the “helper-friend” to help with any computer issues.